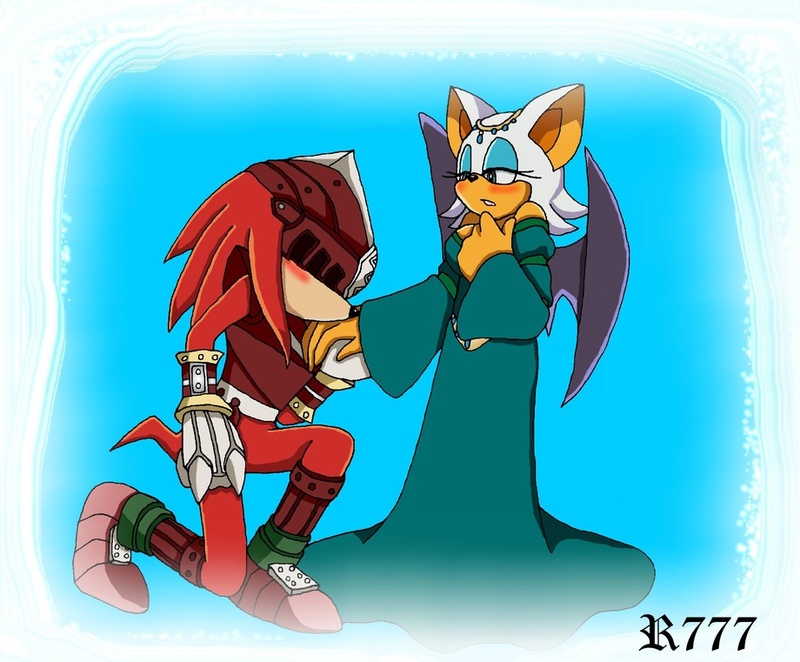 well,this is the story of rouge but in this time is lady Ragnelle the wife of the knight Gawain. One day King Arthur was hunting in Ingleswood Forest with his men when a deer stepped into view. "Hold still, everyone," said the king, "I'll stalk this deer myself." Holding his bow in one hand and his arrows over his shoulder, the king crept upon the deer until, deep into the forest, he slayed the deer with one shot. As the animal fell, a tall figure stepped from the shadows. "How fortunate for me that we meet this way, with your arrow released from your hand," boomed the voice of a strong and mighty knight. "King Arthur, for many a year, you have done me wrong. Now it is time to quiet you here." It was Sir Gromer! Thinking quickly, the king said, "To slay me here, armed as you are and I clothed but in my greens, would bring you no honor. All the knights will refuse to sit by you, and shame will follow you evermore. I'll grant you anything - name it - land or gold, to spare my life." "There is no land or gold that I desire," said Sir Gromer. "However I will get what I seek in an honorable way. I'll give you a chance to solve a riddle. One year and a day from now, you must appear before me, here in the woods as you are, without friends to come with you and without weapons. If at that time you are unable to solve this riddle, no man will object that I will take your life. But if you answer the riddle correctly, there will be no battle. You must swear on your honor that you will return in one year and a day, as I have said." "Lo, I agree," said the king. "What is the riddle?" "You must tell me what it is that women desire most, above all else." "I assure you," says King Arthur, "as I am the true king, that I will come again in one year and a day and bring you the answer that you seek." And so Sir Gromer left. The king blew his bugle and his hunting companions found him with the slain deer at his feet. Yet rather than finding their ruler in good spirits as they would expect, his companions saw heaviness in their king's face. They realized some disturbance must have come about, but when they asked him what could be the matter, he did not say. Only to his nephew, the gentle Sir Gawain, did King Arthur share what had really taken place. "Sir, be of good cheer," said the youthful knight after he heard full through the demand of Sir Gromer. "Let's ready your horse. Together we will ride into country after country. Wherever we go, we will ask every man and woman for the correct answer until we find it." And so the king and his nephew Sir Gawain rode away. Everywhere, they inquired what it is that women desire above all else. All the people who answered were certain their answer was correct, yet each answer was different. Some said women loved to be well adorned; others said they must not be scorned. Some said women want a husband who is handsome and strong; others that they want a man who will not prove them wrong. And so King Arthur and Sir Gawain collected many an answer yet none that seemed right. Soon only a month remained. Back in Ingleswood Forest, King Arthur met a lady. Though she was covered with gold and many a precious stone, she was as foul a creature as ever a man did see. Her face was red, her nose was runny, her mouth was too wide, her teeth yellow and hanging, her eyes bleary, her neck too long, and she was shaped like a barrel. The lady rode up to King Arthur. "Good speed, King Arthur," said she. "Speak with me or go, for thy life is in mine hand." "What do you mean, lady?" said the king. "What would you have with me?" "Of all the answers you have been told," says the loathsome lady, "none of them will help you. Only I know the correct answer. Grant me but one thing, Sir King, and I shall tell it to you, or else thou shalt lose thy head." "What is it that you seek?" said the king. "If I can, I shall grant it." "You must grant me a certain knight to wed. His name is Sir Gawain. Either I marry the Knight Sir Gawain, or you must lose your head." "Alas!" the king thought to himself, "woe is me, that I should cause Gawain, my own nephew, to thus be wed!" He said aloud, "Then we must part, lady. But do tell me, before I go, what is your name?" "Sir King, I am the Lady Ragnell." And so they parted. The king returned to Carylylle where the first man he met was his nephew, Sir Gawain. The king told him all except the request of the loathsome lady to wed Sir Gawain. Arthur said only that the Lady Ragnell will share the secret for the promise of a husband. "Is that all?" said Sir Gawain. "Then I shall wed her and wed her again, or else I would not be your friend. For you are my king and my liege. To save your life, my lord, I will do whatever I can or I would be false and a great coward." A few days later the king and Sir Gawain rode out of town. The king separated and returned to the spot where he had met the Lady Ragnell. He told her she will have her request and marry Sir Gawain. "Therefore tell me now, quickly my lady, the answer to the riddle." "Sir," said Lady Ragnell, "now thou shalt know what women desire above all else. Some men say we desire to be beautiful, or that we desire attentions from many men, or that we desire to be well wed. Thus, these men do not know the truth. What we desire above all else is to have sovereignty, to rule our lives as we see fit, to not be beholden to another. Go forth, Sir King, for now thy life is assured." The king rode as fast as he could to where he had met Sir Gromer. He started by giving one of the answers he had been given earlier. Then another, and another, and yet another. But to each one Sir Gromer shook his head with glee. "Nay, nay," said Sir Gromer, "you are as good as a dead man. Prepare to bleed." "Abide, Sir Gromer," King Arthur said. "I have one answer left." "Very well then," said Sir Gromer, "or else so help me, your death you shalt have." "Now here is the answer," says the king. "Above all, women desire sovereignty, to rule their lives as they see fit." "And who was it that told you this?" roared Sir Gromer. "No doubt it was my sister the Lady Ragnell! May she burn on a fire! Yet now I am compelled to release you - so go!" "Farewell," said King Arthur, and he quickly turned around his horse. Then he sped to the Lady Ragnell to bring her back to his castle for the wedding. Yet so unpleasant was the prospect of holding a public wedding with such a bride that he told her the ceremony will be a morning affair, knowing that meant there would be few or none to attend. But this the Lady Ragnell would not abide. "Nay, Sir King," said she, firmly. "Openly I must be wed, with a full wedding feast and guests aplenty in attendance." On the evening of the wedding feast, the Lady Ragnell carefully watched her groom. Was he disgusted by her? Would he turn his back and ignore her? Strangely, this he did not do. The knight behaved as if he cherished his loathsome bride. Later that night in their wedding chambers, the Lady Ragnell said, "Sir Gawain, now that we have wed, show me your courtesy with a kiss. If I were fair, you would not delay. I pray you do this at my request, with all due speed." Sir Gawain said, "I will at once, that and more!" As he sped around to kiss his bride he saw before him not the loathesome creature he had married, but the fairest creature he ever did see. "Aye!" he cried out. "What are ye? a witch?!" "I am your wife," said she, "that and securely." "Ah, lady, then I must not be in my right mind," said the confused Sir Gawain. "Earlier today you were the foulest sight that ever I saw - pardon me for saying so - and now, it seems my good furtune to have you thus!" And he rushed into her arms, giving her many kisses. "Sir," said she, pulling away for a moment, "There is more you must know. Several years ago I was deformed by enchantment by my brother, the terrible Sir Gromer. My beauty, as you see it now, will not hold. You need to choose whether you will have me fair by night and foul by day, or else have me fair by day and foul by night. With the enchantment, it cannot be both. What do you choose?" "Alas!" said Gawain, "the choice is hard. To have you fair by nights and no more, that would grieve my heart right sore. And if I desire by days to have you fair, then nights I'm sure I could not bear. So I must put the choice in your own hands. Whatever you choose, as your husband that choice will also be my own." "Mercy, courteous knight! Of all earthly knights blessed must you be, for now the evil enchantment is released completely! You shalt have me fair both day and by night, and ever as I live I will be fair and bright. For the only thing that could release me from Gromer's spell was if a husband granted me, of his own free will, sovereignty to choose what I wish for myself. And now, Sir Knight, courteous Gawain, you have done just that. You have granted me sovereignty, that which every woman wants above all else. Kiss me, Sir Knight, now, and pray thee be glad!" And so the Lady Ragnell remained beautiful all day and all night, and she and Gawain the Knight lived happily thereafter.